275g strong white flour mixed with 275g strong wholemeal flour - alternatively 550g of one type of strong flour. 2 teaspoons honey – or sugar, but any sweet alternative will do. 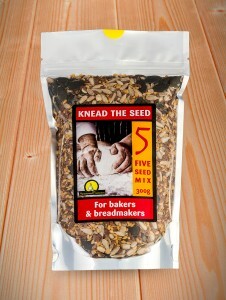 4 generous tablespoons Knead the Seed 5 seed mix or 8 seed mix - you can use a couple more or less, if preferred. Thank you to Brian Webster for this recipe and photograph of the delicious looking results! 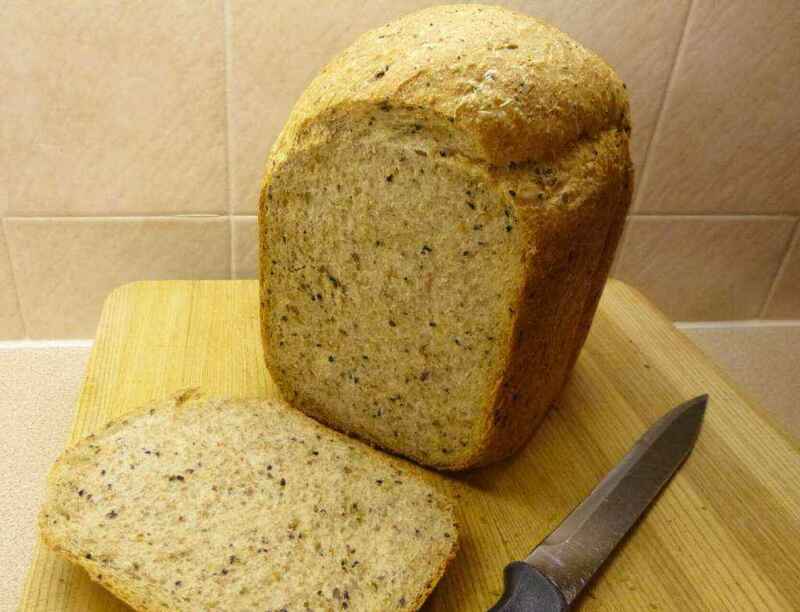 Brian made this loaf using a Panasonic Automatic Breadmaker SD-255/SD-254. 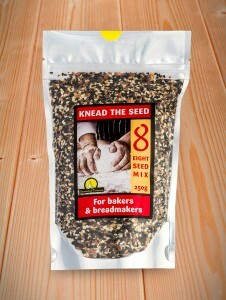 Follow your Breadmaker’s instructions as many have a seed dispenser, but you can add the seed mix at the start with all the other ingredients.